Parents want only the best for their precious babies. With all the well meant advice and opinions from family, friends, media, books, and the internet it can feel impossible to figure out what is really the best for your child. I strive to give parents the non-judgmental support and science based knowledge they need to be able to make the right decisions for their unique family. I was born and raised in Germany and live now Berkeley, CA. After graduating with a degree in marketing I came to the US and worked as an Au-Pair and nanny for several years. My love for taking care of children and families grew into a passion and I realized that I had found my calling. 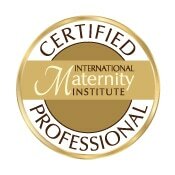 I am a certified Postpartum Doula (DTI), Lactation Educator, Maternity and Child Sleep Consultant, & Pre- and Perinatal Psychology Educator.